Mikko Malmivuo (Innomikko Ltd) has a long history in winter maintenance in cooperation with the Finnish Transport Agency. Malmivuo has been an active member of the Transport Agency teams renewing winter maintenance policies and requirements. Furthermore, he has contributed in the development of runway winter maintenance by Finavia projects. Below you can find the studies which have the most consistent connection to winter maintenance, but also all of the projects below “Friction measurement and road weather observation” and “Wintertime traffic safety” have a connection to winter maintenance. In the change of the millennium, Finnish National Road Administration was divided into Finnish Road Administration (now Finnish Transport Agency) and Road Enterprise (now Destia). This change also meant, that winter maintenance operations moved from state to private corporations. The research projects in this field have typically a connection to winter maintenance quality control, wintertime service level measurement or competitive tendering. Also the functionality of new road types from the winter maintenance point of view has been interesting. Finavia (former Finnish Civil Aviation Administration) has been interested on the runway antiskid treatment optimization. Althougt the demands for antiskid treatment are higher on runways than on roads, Finavia doesn’t want to use chemicals any more that necessary. Malmivuo, Mikko 2017: Testing of a snow forecast pilot. Research reports of the Finnish Transport Agency 47/2017. 41 p. + app. Long English abstract. Finnish report with English abstract. Malmivuo, Mikko 2016: Winter maintenance classification revision. Finnish Transport Agency inner report. 31 p.
Malmivuo, Mikko 2014: The effects of weather conditions on the use of anti-icing chemicals in Helsinki-Vantaa airport. Continuation of the model development. Finavia inner report. 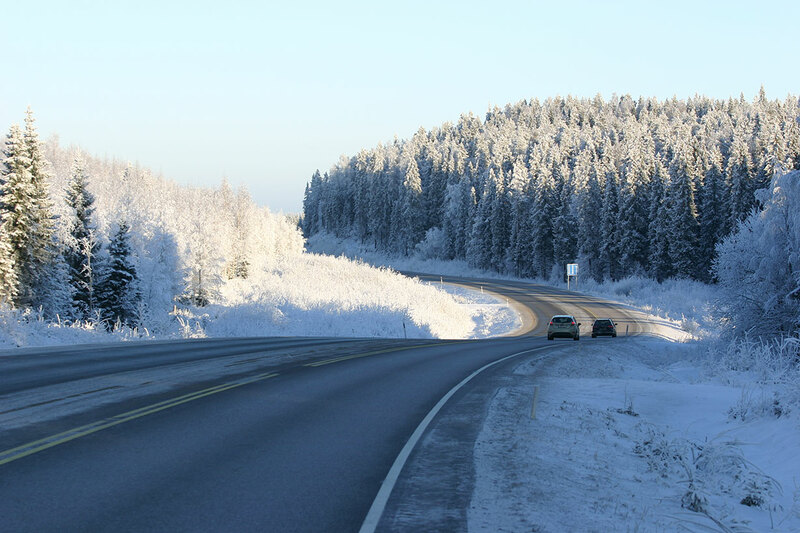 34 p.
Malmivuo, Mikko 2013: The development of winter traffic service level observation methods. Finnish Transport Agency inner report. 54 p. Long English abstract. Malmivuo, Mikko 2013: The effects of weather conditions on the use of anti-icing chemicals in Helsinki-Vantaa airport. Finavia inner report 23 p. Long English abstract. Malmivuo, Mikko 2012: Roads with a wide center marking in winter conditions. Research reports of the Finnish Transport Agency 29/2012. 33 p. Finnish report with English abstract. Malmivuo, Mikko 2010: The overall profitableness of public roads winter maintenance in Finland. Publications of the Ministry of Transport and Communications 34/2010. 43 p. + app. Finnish report. Malmivuo, Mikko 2010: The development of winter maintenance spot check control. Finnish Road Administration inner report. 69 p. + app. Malmivuo, Mikko 2008: Assessing the Swedish “Tema Vintermodell” program. Finnish Transport Agency inner report. 59 p.
Malmivuo, Mikko, Penttinen, Olli, Leppänen, Anne, et al.. 2004: Enhancing winter maintenance and road weather information. Team report. Finnish Road Administration inner reports. 34 p. + app. Kurki, Timo, Spoof, Harri, Malmivuo, Mikko, Petäjä, Sami, Leinonen, Jarkko 2004: Performance requirements in road and street maintenance contracts. VTT Research Notes 226. 123 p. + app. Finnish report with English abstract. Malmivuo, Mikko, Kärki,Otto, Mäkinen,Tapani 2000: Connection between road maintenance and traffic safety. Finnish National Road Administration reports 57/2000. 74 p. app. Finnish report with English abstract.